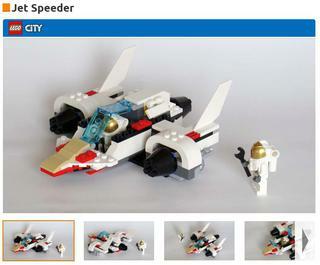 As you might have heard and seen, we launched a new site on LEGO.com called LEGO® Remake. The intention with this site is to provide older children with creative inspiration to what alternative builds they can make with existing LEGO® sets. In order to provide the inspiration, we reached out to 7 amazing fan designers through Nathan Thom, the owner of Rebrickable. The Rebrickable website inspired the LEGO Remake project and over the past 6+ months we have been working closely with the adult fan designers to find a way to make alternative builds to existing LEGO products. Together with the fan designers, it is our aim to inspire children all over the world to keep building. The site is meant to be a real life test, to determine the appeal to children. The fan designers have made some really creative builds within some tough constraints and we are really proud of what they have achieved. All instructions and images are created by the fan designers based on a number of guidelines for e.g. building instruction design and model design. For now, the site is a pilot and not many builds are up yet, but we have more in the pipeline, pending internal tests. The fan designers we are working with at this time are Thomas Vit, Peter Szabo, Nicola Lugato, Jason Allemann, Attila Baranyai, Bertrand Lequy and Youngil Kim. The Remake site will be showcasing the alternate build creations from designers who have shown a talent for them. LEGO recognises that the fan community can produce amazing designs and building instructions at a rate far faster than their own designers who must comply with very stringent rules. Plus the effort spent in creating instructions and all the other marketing material around a set release takes a lot of time (and money). The Remake models are somewhere between official LEGO sets and MOCs you would normally find on Rebrickable – they have passed LEGO’s tests but are still 100% fan-designed with fan-created building instructions and fan-taken photography. Remake is an attempt at making this content more publicly visible – and hopefully make Rebrickable more visible at the same time! The initial content is targeted quite specifically at 7-10 year olds which is why it only contains City sets for now. The designers were limited to 15 specific City sets (only 7 are currently visible on the site) and had to follow LEGO provided guidelines to ensure the models were suitable for the target age range. LEGO performed extensive testing and study groups with children on the actual models and instructions you see on the site. Even though they were all awesome, not all of them passed the rigorous testing LEGO performed. It was a great experience learning more about what goes on inside LEGO to produce a suitable set for release, and even getting tips from their own internal model and instruction designers. Fun fact – the recent LEGO Digital Designer update was a direct result of some problems we encountered during this project. However, the future of LDD is still a bit of a mystery to me! The Remake site is still considered a Pilot, and so it's future is uncertain. However, you can be sure that if it is successful then Rebrickable will continue to play a part. A huge thank you to the Rebrickable designers that agreed to participate in this project. It was a lot of effort and I think we all learnt a bit more about the difficulties involved. Special thanks to Nicola Lugato for the extra time he spent in tweaking his amazing Blueprint instruction-generating software that most of the designers used, even finding time just after becoming a new Dad! And of course, thanks to the team at LEGO who were involved during this project – Kim, Julie, Tanja, Daiva, Tormod and the rest! It would be fun to know what those "tests" are. what is required to meet lego standards, because some of those remakes aren't that impressive. Remember, these are targeted at young kids. There were criteria I didn't mention that required some models to be small and simple, while others should be complete rebuilds. Sounds like a great challenge to try to meet Lego's own standards (which I actually try to do lately anyway, for fun). The Lego Group should talk to their own talented Technic Set Designer (Milan Reindl, a.k.a. "Grohl"). He made 23 different alternate builds of the Lego Technic 8271 set -- see https://www.flickr.com/photos/[email protected]/6396959213 for examples. 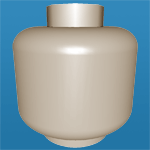 They are all proven designs, and can quickly augment the items on Lego Remake. What? It's because of this site that LDD got updated? Well then! They shall have to keep it running and include Bionicle sets, so LDD can keep getting updated and get Bionicle parts. the first thing I was looking- ok, so where is the submit button :D Let's join in for this idea and new site but found that it's view only site. so, is this project going to stay a closed circle for invited fan designers only? LEGO must test every submission before it can be shown, so a free-for-all submission would not scale for them. Hence using Rebrickable as a source of already proven designers to make the process easier. We are still in discussions for the next round (after the one that isn't even shown on there yet!). I think this is great, but why are all the chosen designers male? Are there really no women building to this standard, are are they just unconsciously being overlooked? I will address this. I have never felt overlooked in any way here at rebrickable. I use the site for the things I enjoy, and designing alternate builds isn't one of them. Please remember this project was started back in 2014. If you go back to the alternate competitions that were held in 2013, I believe you will see where Nathan went to first for his recommendations to LEGO for alternate designers. Very few, (if any? ), women entered those competitions. Thank you for the answer. It still leaves me with the question of why so few women entered the competition to begin with (lack of confidence, lack of interest, lack of competitive drive, etc - or yes, lack of skills), but that's probably a discussion for another forum. Lack of Skill? Really, we're you dropped on your head when you were born because that was a very ignorant statement. Do you know how many female engineers or architects there are. Think before you speak next time. Did someone forget to teach you how to expresss yourself without resorting to childish insults? And for the record, I did not say that women cannot be skilled engineers. Do try reading the full conversation before you jump in - we were discussing why few women entered this particular competition, nothing more. I can only speak for myself, but it wasn't a lack of any of the things you mentioned. Being a wife, I spent time helping my husband recover from surgery in Jan 2013. Being a daughter, I spent time with my mother when my father died in June. Being a mother, I spent time with my son's family when my 2nd granddaughter was born in Sept. It was quite simply....a lack of time in 2013. Hard to believe that granddaughter will be 3 in a few days. She has a LEGO gift card as a present from us, and is looking forward to choosing and buying a set at the LEGO Store...all by herself. Lack of time, yes, I understand that one all too well! What an epic project! Great to see that TLC sees the value of MOCs! They've always seen the value of MOCs, I think the new thing here is the embracing of alternate builds.